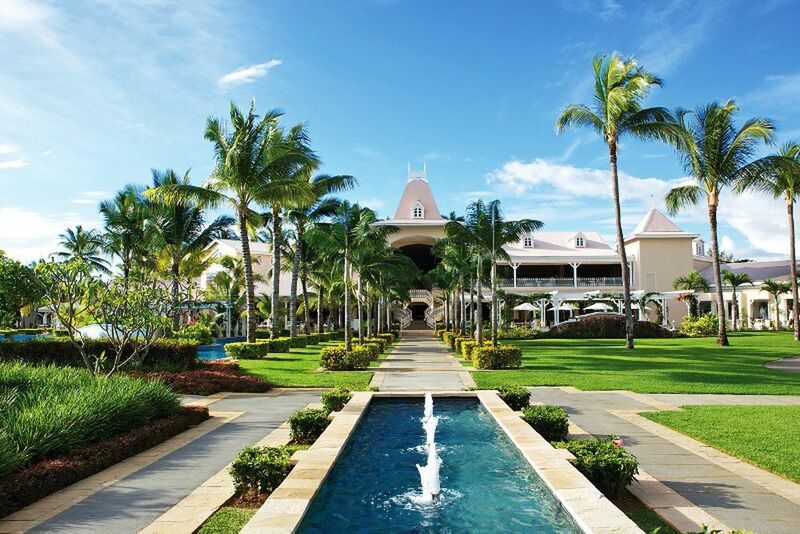 As soon as you arrive at the Sugar Beach Golf & Spa, you will be immersed in the luxurious atmosphere. 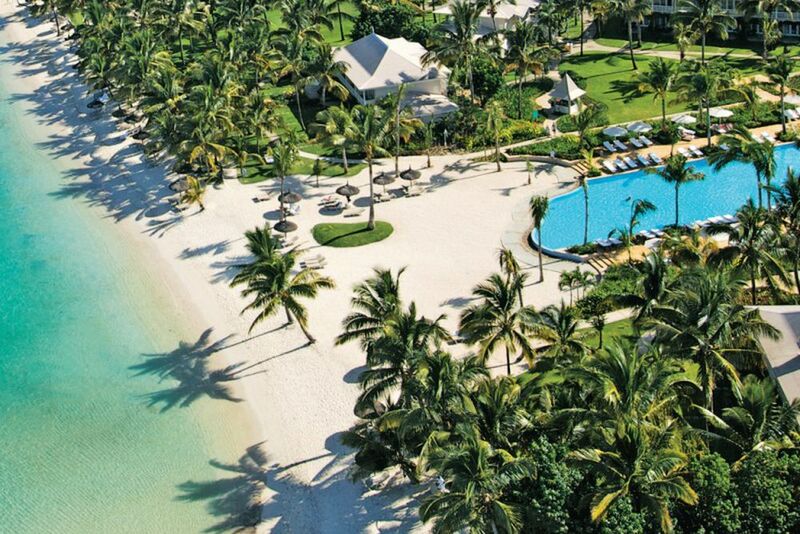 Sugar Beach Golf & Spa is located on one of the island's most beautiful beaches in the Indian Ocean. Enjoy a spectacular view of the sea from the hotel's pool! The main pool has a sunbed for all guests so that you can relax in peace and quiet. The gate of the hotel is at the entrance to a world that promises a dream vacation. 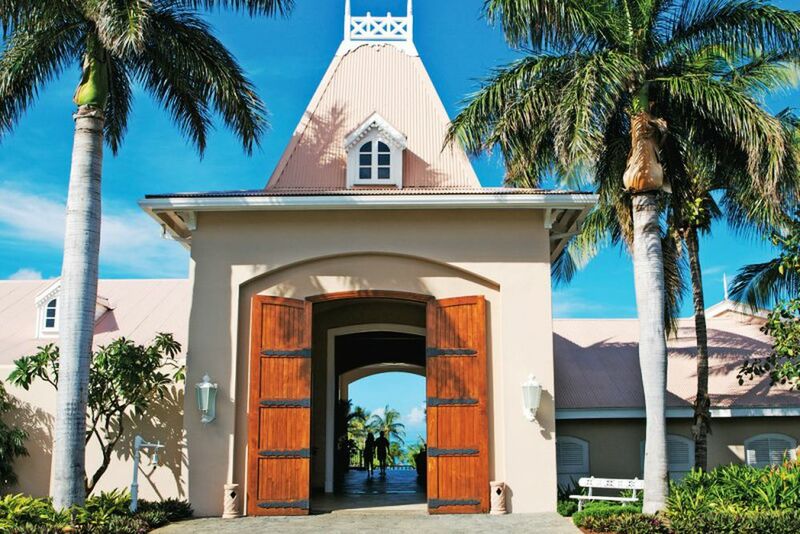 The main building has a very special charm thanks to its plantation style. How could you say no to a holiday opportunity with a panoramic view like this? Guests are spoiled with only the highest level of culinary delights. The Tides welcomes its guests in an authentic atmosphere. 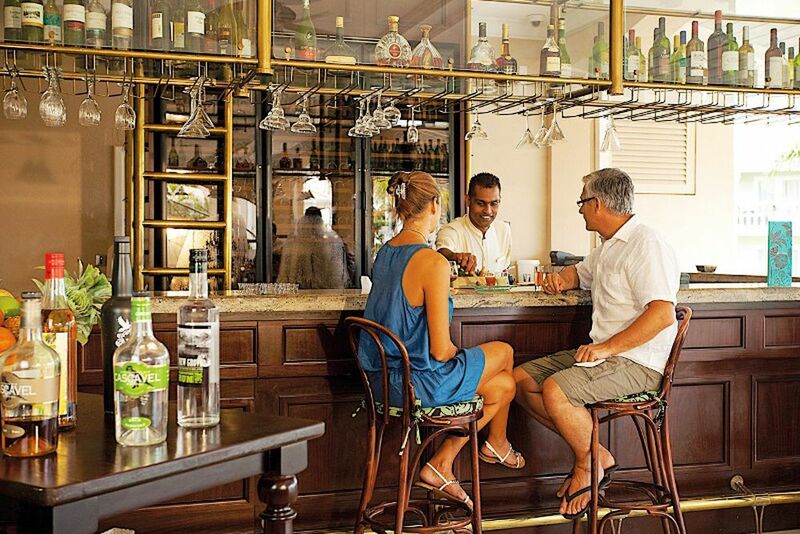 The beachside Citronella Café offers unforgettable moments. 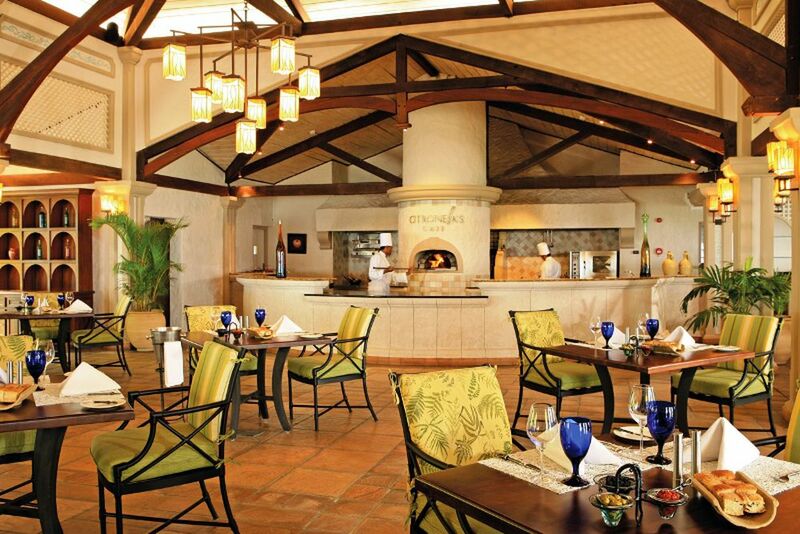 Indulge in Mediterranean delights at the Citronella Café. Help yourself to the varied buffet at Mon Plaisir Restaurant. End your day in this relaxing atmosphere. These seaviews will take your breath away. 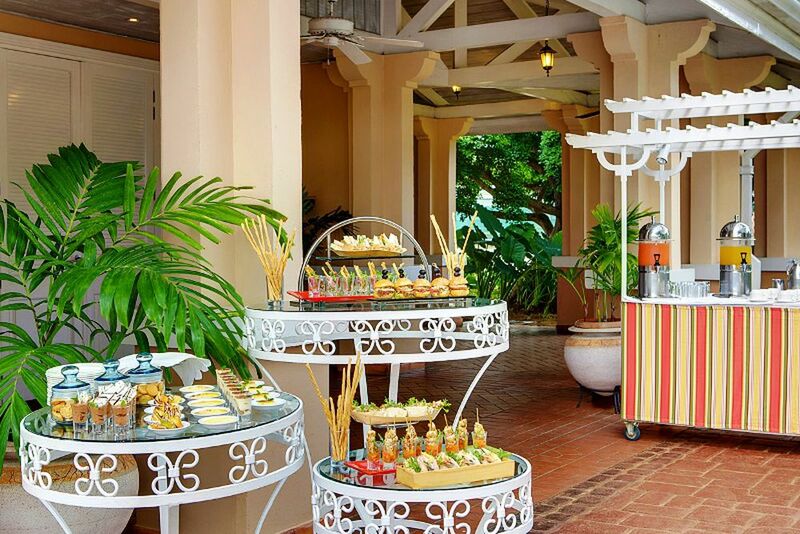 Delightfully relaxed, you can enjoy light snacks in the afternoon at Mon Plaisir. The pool offers exactly the right thing for all guests! Take advantage of the romantic sunsets. Take a few laps in the 2000 m² swimming pool. 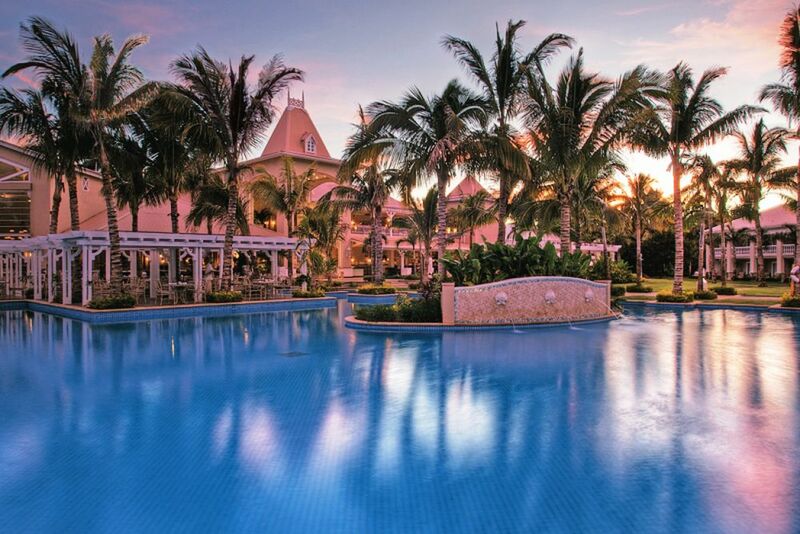 Discover tranquility by the beautiful pool. The close proximity to the beach make the rooms particularly popular. 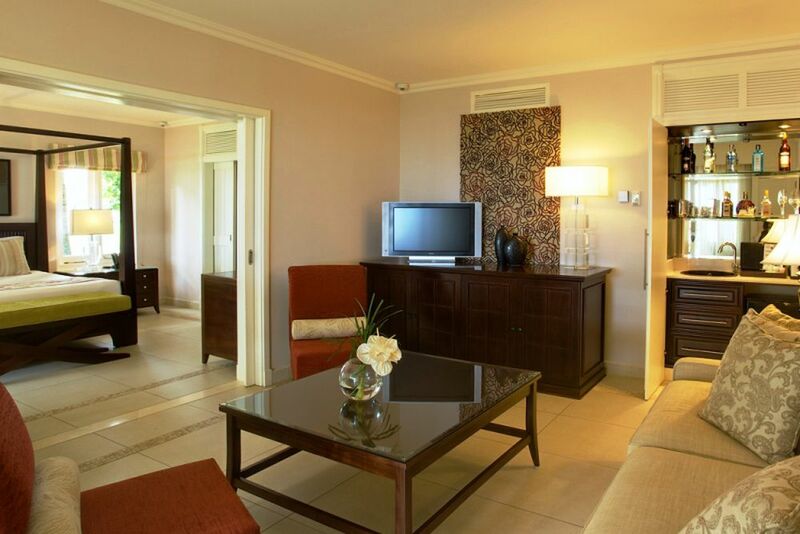 The suites of the house are generously furnished and offer enough space for the whole family. Villa Rooms overlook the garden and the sea. In the spa area, visit the Hammam for a pleasant oasis of relaxation. 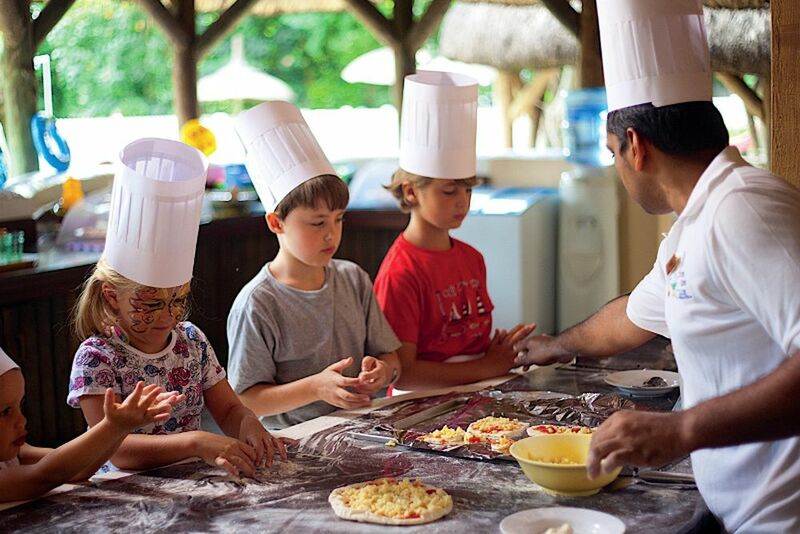 The Kids Club offers exciting activities for the younger guests, such as cooking classes! 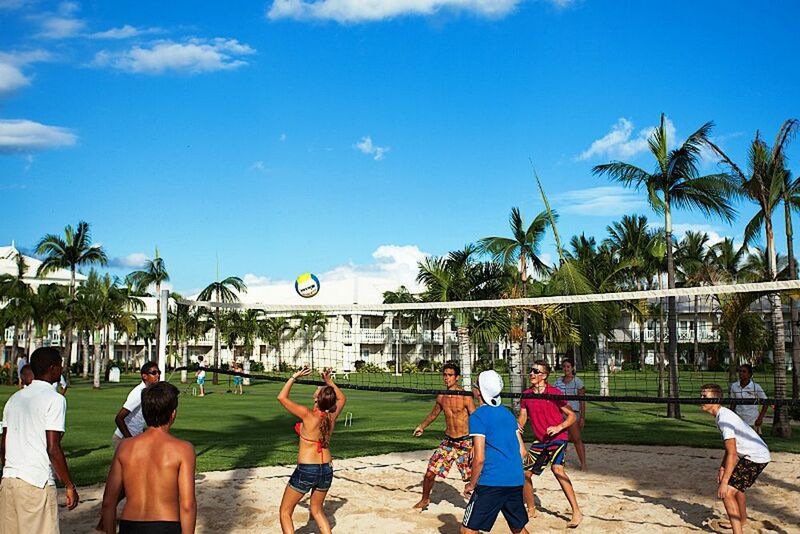 Play beach volleyball with your friends and family! Do you want to learn something new? Try a martial arts class at the hotel's gym! 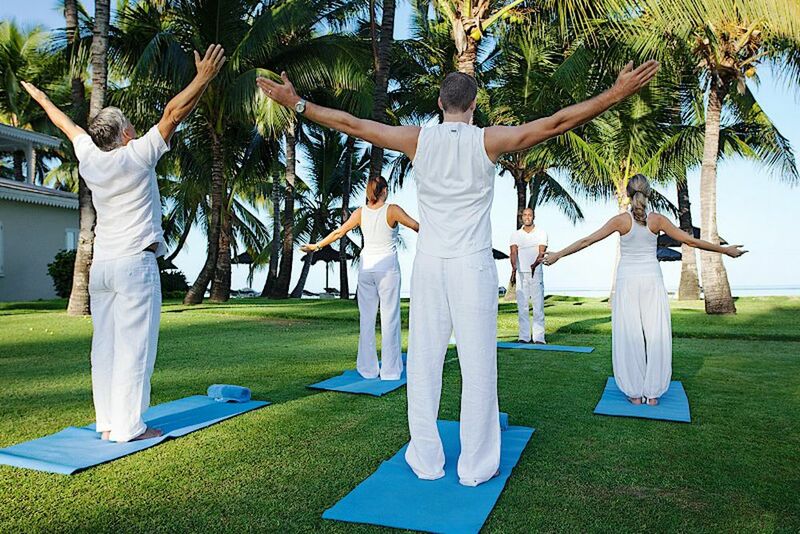 Start the day with a relaxing yoga class. There are many activities available at the hotel's sports center. Taste the salty breeze upon your lips as the sun kisses your warm skin along the pristine west coast beaches of Mauritius. 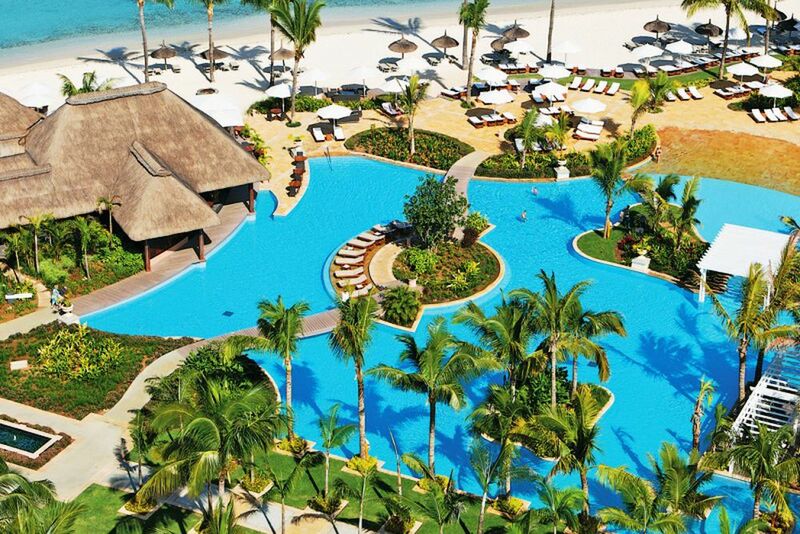 Sugar Beach Golf & Spa Resort is the perfect combination of elegance, traditional lifestyle and modern day comforts. Come discover the beautiful resort for your next holiday adventure! Discover the colorful underwater world, relax on pristine white sandy beaches, or witness unforgettable sunsets along the west coast of Mauritius. 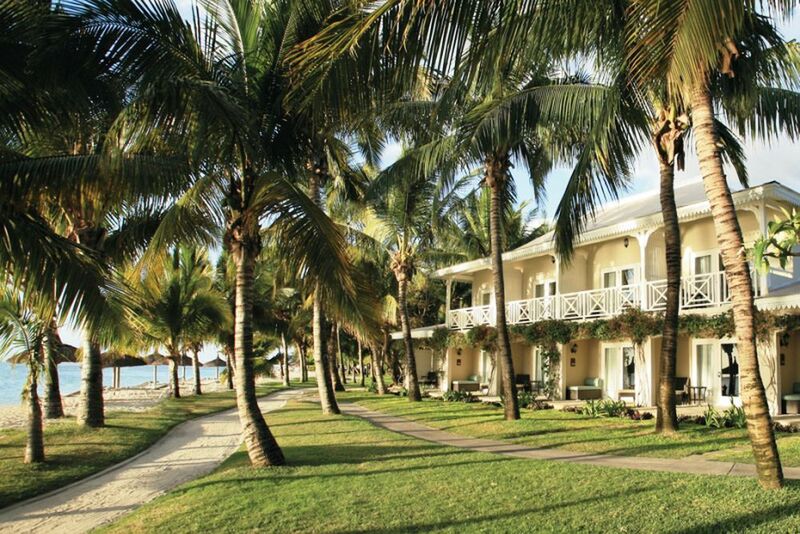 Sugar Beach is a plantation-style resort with an ideal location right on the beach. The picture-perfect island surrounds you with blue lagoons and breathtaking mountains that will make it hard to go back to reality. The Mauritius Airport is about 50 kilometers away. 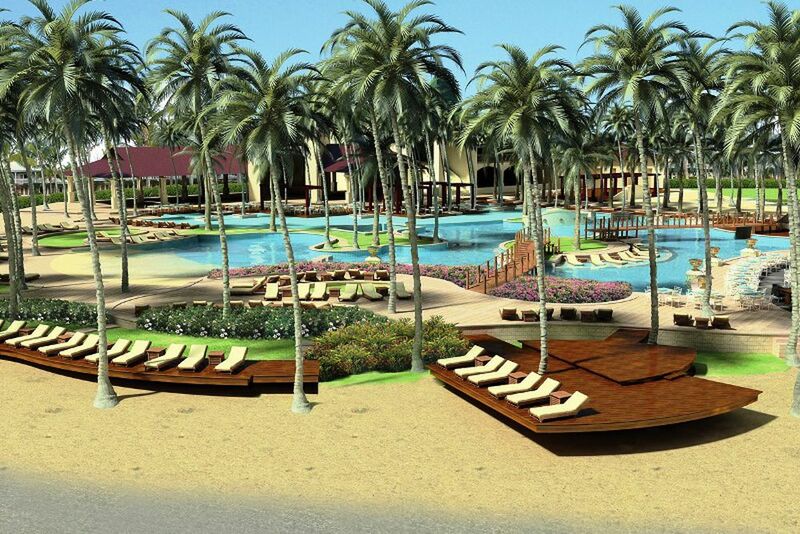 At the Sugar Beach Golf & Spa Resort, the service and comfortable atmosphere are the focus of the resort. 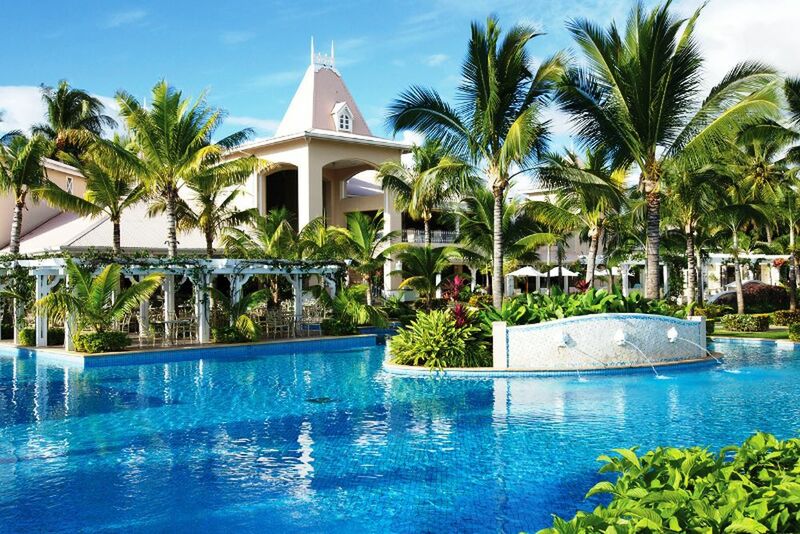 Relax by one of the two pools for a refreshing swim, or a day full of sun-bathing under the tropical sun. The main pool is 2000 m² and divided into different areas for several opportunities of fun. 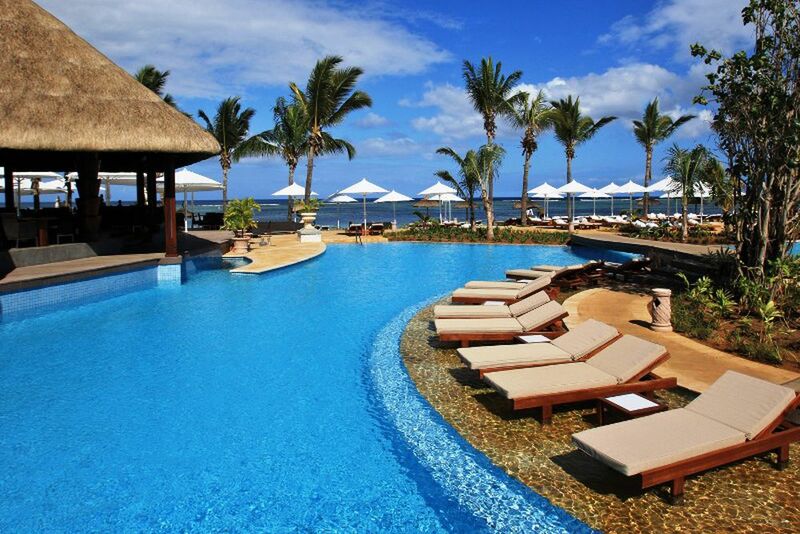 The pool area also includes a massage area, plenty of sun loungers, and delicious cocktails. 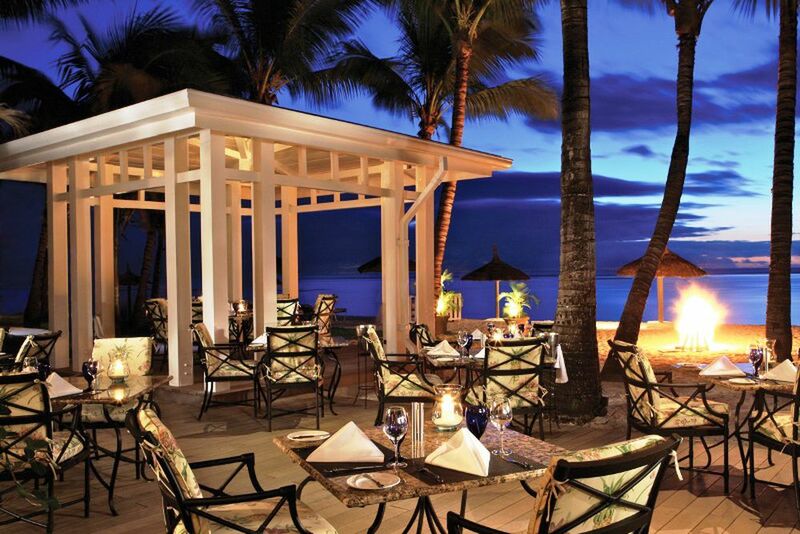 Sugar Beach Golf & Spa Resort offers guests 4 cosmopolitan restaurants that your taste buds will never forget. At the main restaurant, Mon Plaisir, experience daily live cooking buffets and a variety of themed dinners. Breakfast is also served here, making sure you receive all your nutrients for an adventure filled day! 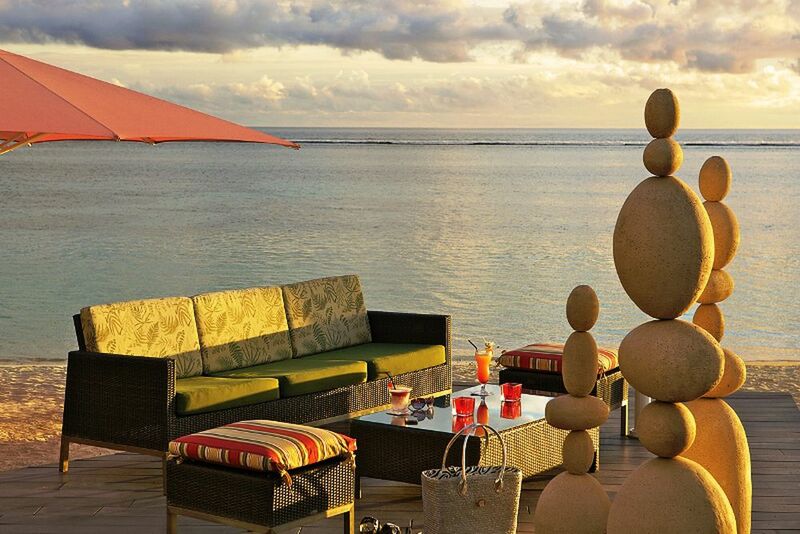 Try a unique dining experience at the beachfront restaurant, Tides. 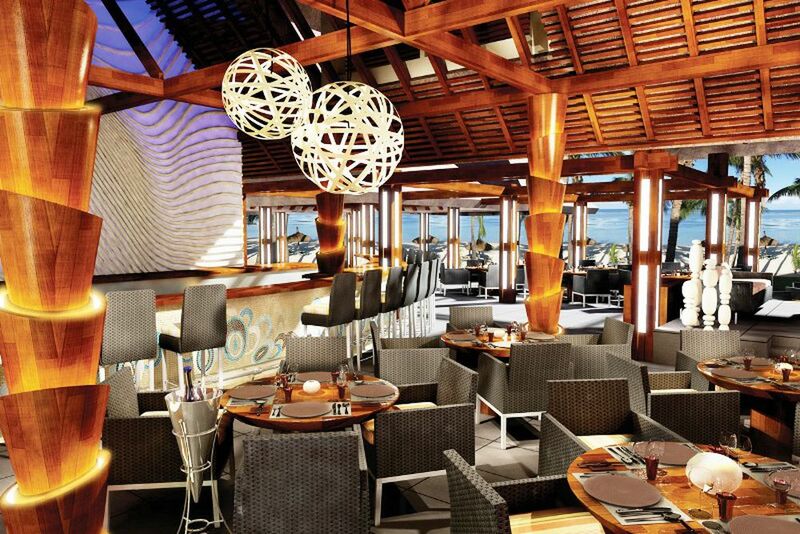 Offering a sophisticated international cuisine, the chefs celebrate the bounty of the sea for lunch and dinner. Italy comes to Sugar Beach at Citronella’s Café. The oceanside Italian market place offers light meals, baked wood fired pizza and salads at lunch time, and regional authentic Italian cuisine at dinner. 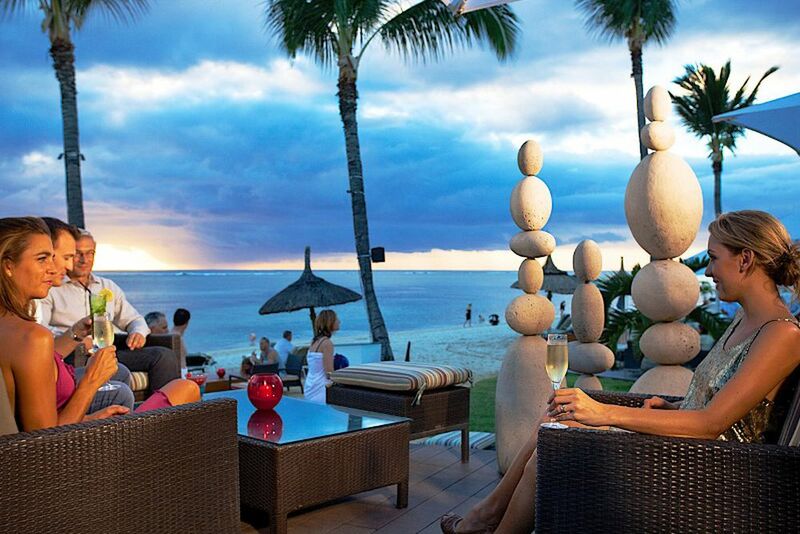 For a traditional Mauritian cuisine, try Paul and Virginie’s Restaurant! Located on the beach of the neighboring hotel, La Pirogue, you can dine in a romantic atmosphere with that special someone. 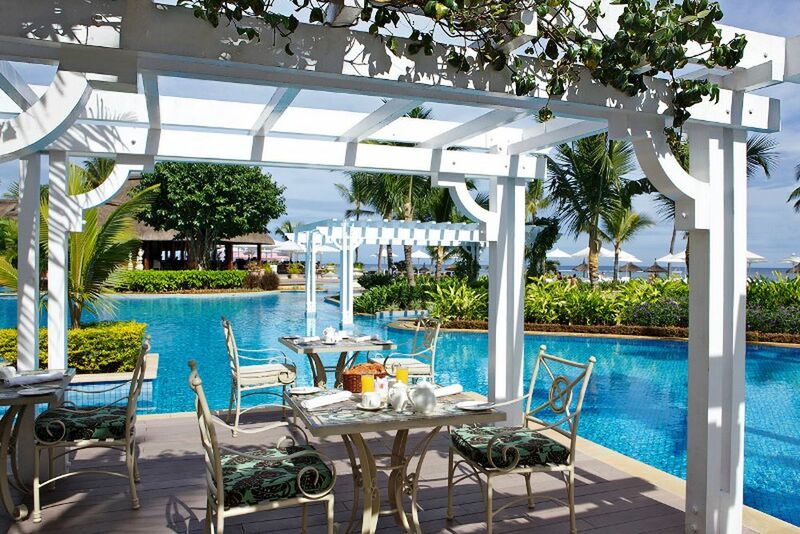 The younger guests of Sugar Beach Golf & Spa Resort are also treated with luxury. Through the wonderful entertainment and fun provided at the Sun Kids’ Club, children 2-11 years old can come discover numerous activities, special menus and buffets for an adventure packed vacation! 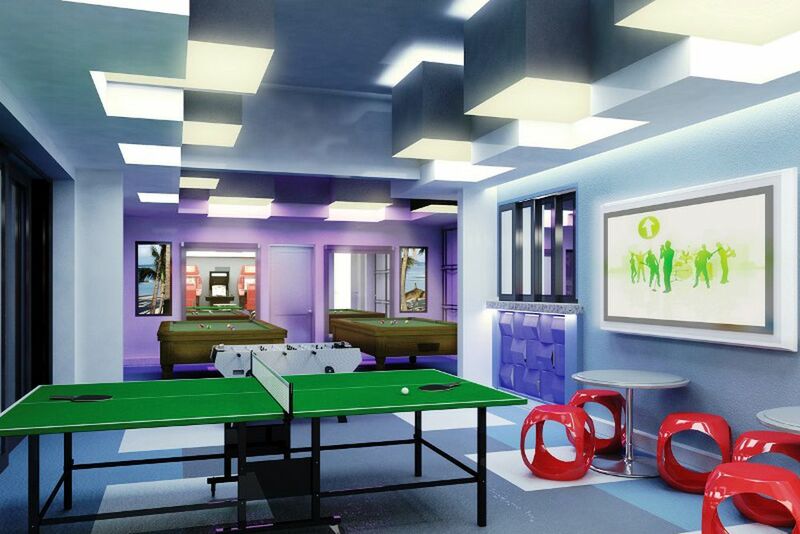 At the Teens’ Club, children 12-17 years old can discover a varied program of sports, excursions and specially organized theme nights so they never get bored. For children 2-3 years old, there is also a babysitting service available for a fee. 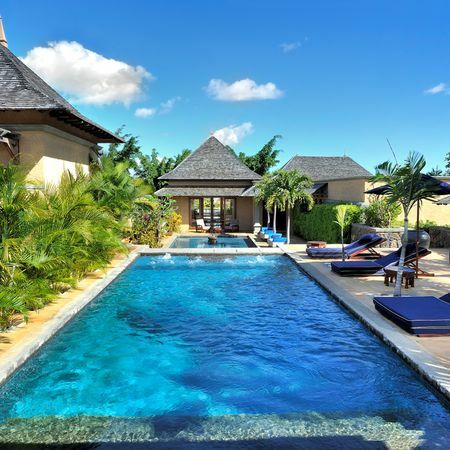 The 258 rooms and suites of Sugar Beach Resort face the verdant gardens or the Mauritian lagoon, offering classic elegance with modern day comforts for the perfect holiday. 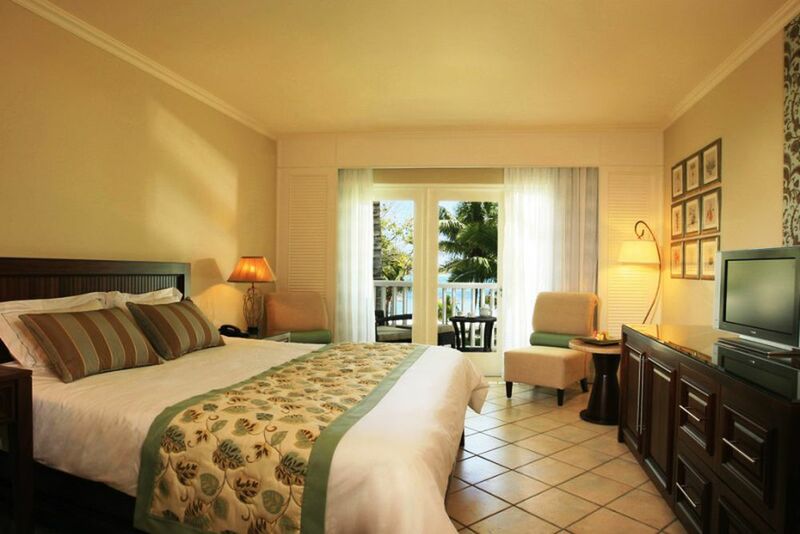 With easy beach access from most of the rooms, guests will not miss out on a minute of the tropical sun. All rooms have a queen-size or king-size bed, LCD flat screen TV, complimentary Wi-Fi, a safe, air-conditioning, and coffee/tea making facilities. As a guest of the Manor House, you will have additional services available. Enjoy unrestricted access to the Governor’s Lounge, including a library with CD rentals, soft drinks, beer, cocktails, afternoon tea, coffee, and selection of small snacks throughout the day. In addition, the following services are included: personal check-in room, welcome gift, weekly “Governor Cocktail,” on-site ironing service, exclusive entertainment and excursion programs, daily turndown service and a small souvenir on departure. Guests have access to “Governor’s Beach”, where you can rent beach chairs, deckchairs, and umbrellas from the attentive service staff. A selection of non-alcoholic drinks, fruits and magazines are available free of charge. Manor House Garden View Room (40 m²)— Located on the ground floor or first floor, these iconic plantation style rooms are a perfect combination of “Manor House” and elegant tropical flair. The bathrooms include a separate bathtub for guests to enjoy. These rooms overlook the lush gardens from the luxury of its private balcony or terrace. Manor House Sea View Room (40 m²)— Located on the ground floor or first/second floor in the iconic plantation style “Manor House,” guests can enjoy personalized butler service. 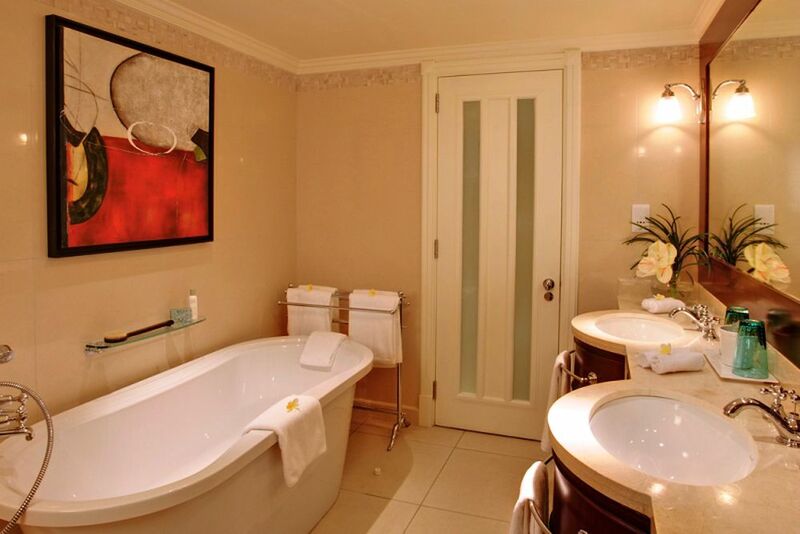 The bathrooms include a separate bathtub for guests to enjoy. Enjoy stunning sea views from the rooms’ spacious private balcony or terrace. Villa Garden View Room (40 m²)— The spacious, luxurious Creole-styled “Villa houses” are nestled in the lush tropical gardens and offer views of the verdant gardens from the luxury of a private balcony or terrace. Villa Beachfront Room (40 m²)— With spectacular beach access from all the rooms, guests have unobstructed sea views and a private balcony or terrace. More rooms available upon request, such as family rooms or suites. Aura Spa is the ultimate sanctuary for guests looking to recharge with the help of beauty and body treatments to choose from. This oasis of tranquility takes you away from reality and into deep relaxation. 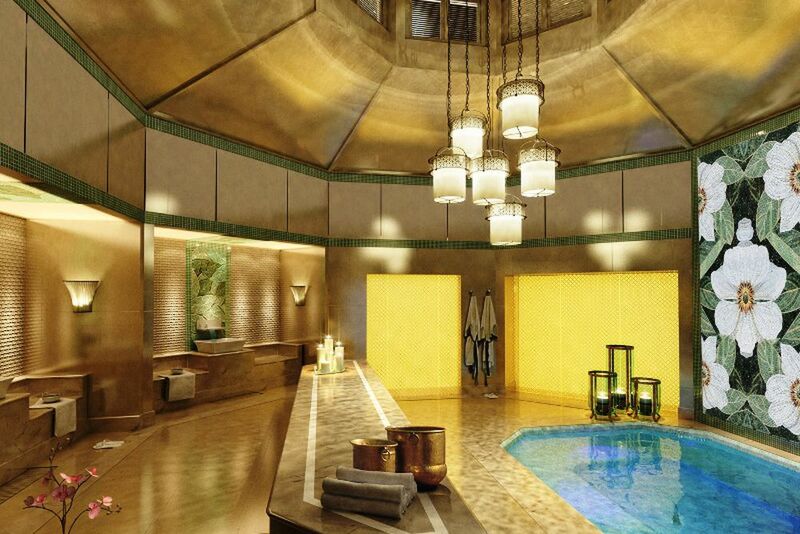 The spa area is equipped with an aura hammam, a heated pool in hammam, individual and couple treatment cubicles, a shiatsu treatment area, as well as a beauty salon. 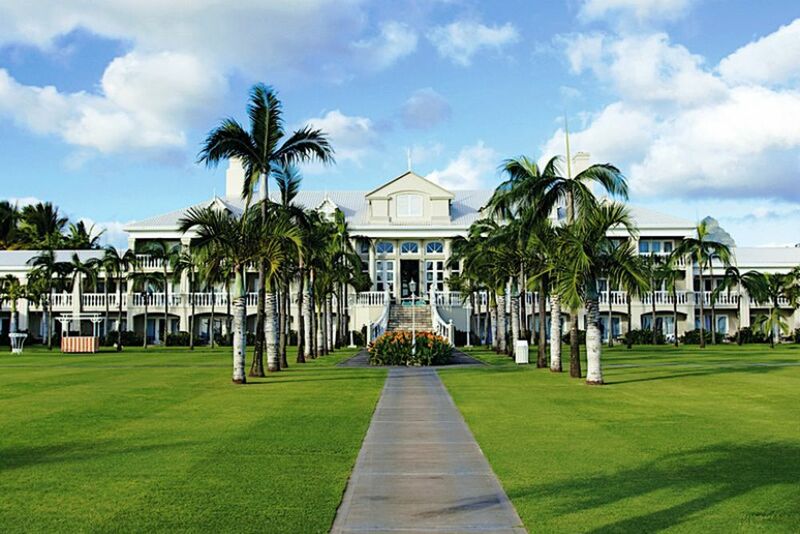 Golf lovers will never be bored at Sugar Beach Resort! 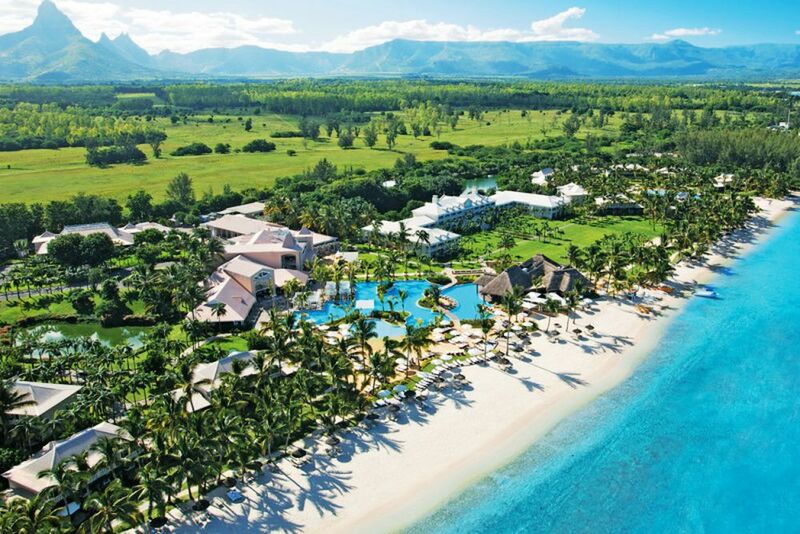 The 18-hole international championship golf course, Ile Aux Cerfs Golf Club, is extremely close to the resort. 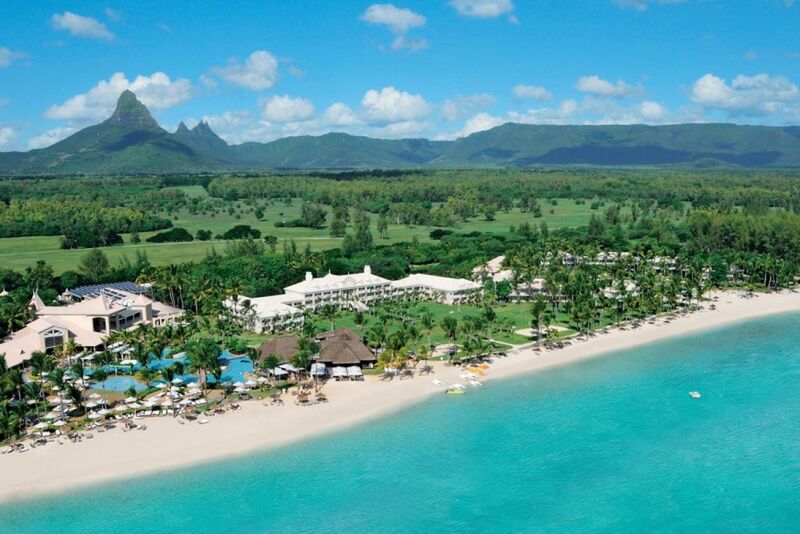 Golfers can also try the Tamarina Golf Course: African savannah meets Mauritius for a unique golf course. Guests have access to the 300 m² air-conditioned gym, so no sports are left out even on holiday! Here, you can learn martial arts from a new perspective; try Tae Bo, kickboxing, judo and karate classes. There are also six floodlit tennis courts that guests have full access to. For a fee, try unique activities like diving (PADI diving school), water skiing, parasailing and catamaran trips!